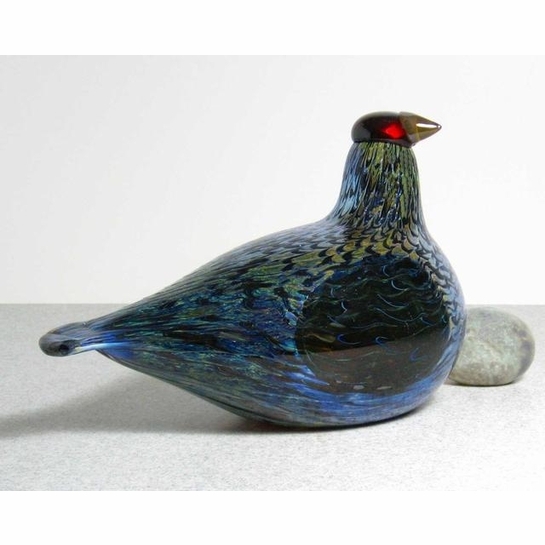 More about iittala Toikka Male Wood Grouse Beautiful blues fade into greens as the colors make their way up the body and through the neck of the Male Wood Grouse. The red beak and dark, oval wing add to the beauty of this bird. 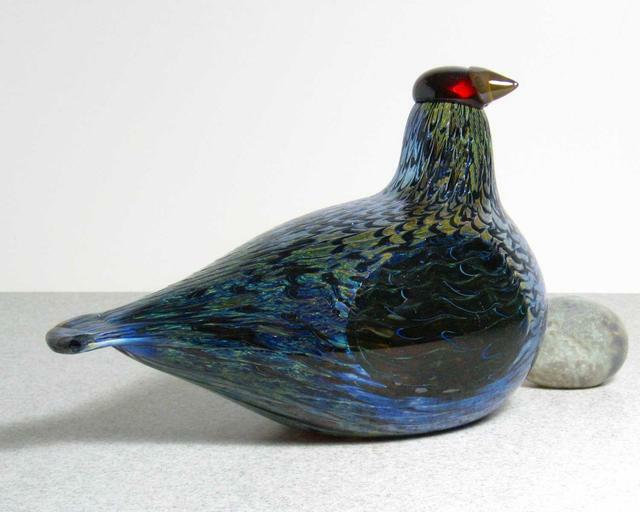 Partnered with the Female Wood Grouse, these birds beautifully complement each other and the rest of the glass birds collection.